Move the front seats forward if necessary. Position the seat belts on the backrest and buckle them. 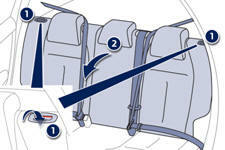 Press both controls 1 simultaneously to release the seat backrest 2. 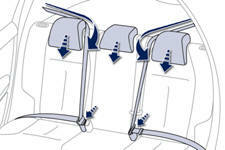 When folding the seat, the centre seat belt should not be buckled but laid out flat on the seat.